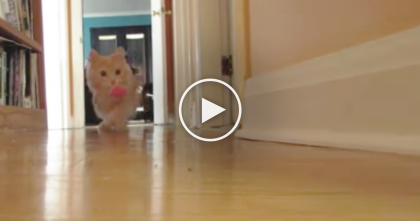 Cat Wants To Play With Boingy Door Stop, But What He Has To Do…Oh My Goodness, Just Watch! Cute Bengal cat is just sitting on the bathroom counter, looking cute as ever, when he suddenly get an idea in his head. 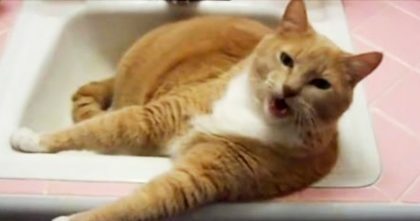 Stubborn Cat Argues With Mom, Refuses To Leave The Bathroom Sink… His Reaction Is Hysterical! 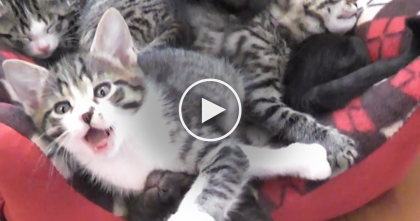 What’s The Purrfect Way To Wake Up?? I Think I’ve Found The Answer… Just WATCH.